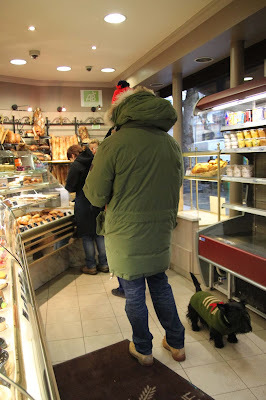 I may not be able to get a French carte de séjour to save my life, but dogs are practically granted full citizenship here, without hesitation. They are not just allowed but even warmly welcomed all sorts of places that would be taboo in the US, including high-end stores and restaurants, too. Big dogs, little dogs, outdoors, indoors. ...and love to eat a little baguette with foie gras, washed down with a lovely carbonated beverage. 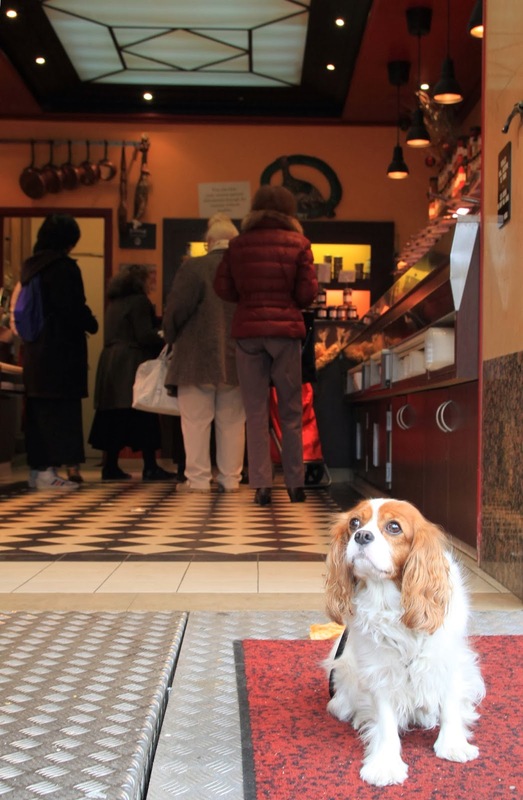 It's every pooch's dream menu. Translation: "Don't leave your dogs in your cars. They are allowed in the castle property." And just about everywhere else, too. If you're looking at this on a full-screen computer, the picture of this Mâconnais is larger-than-life-size. It's nearly a single-serving cheese, about the size of a shot glass. Mâconnais is a farmhouse or artisanal cheese made from raw goat's milk in the Burgundy region. It's aged for at least two weeks, and for such a small cheese, that makes it hard and rather crottin-like (crottin being the French word for turd). It's a dry cheese that's somewhere between crumbly and creamy with a bold, but not overpowering, taste of goat and earthiness. 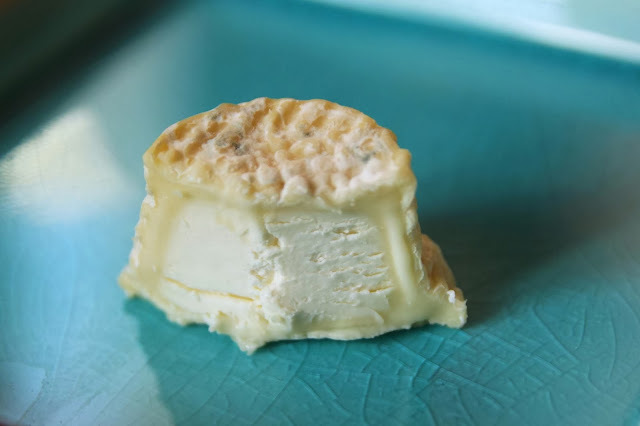 We all thoroughly enjoy the Mâconnais, and our only complaint is that we have to cut off itty-bitty wedges since I have only bought one small sample (and you would, too, if you had to fund 365 cheeses in a year). 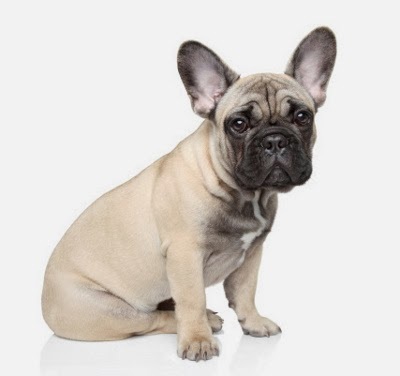 Mâconnais is cute, small, wrinkly, French, and only a little furry. I guess that makes it the French Bulldog of cheeses.